If you think of an apparel product - whether you make one or buy one, you need to know its size. A garment size is named as Small (S), Medium (M), Large (L), Extra Large (XL) or Size 38, 40, 42, 44 etc. A size chart is a document where a set of measurements of garments for various point-of-measures (POM) are listed against all sizes. Sometimes we need to convert the size chart from one system to another system. For that correct size conversion chart is useful. Every clothing brand follows a certain size chart and many of them have published their size guide/size chart online in their web-stores. You can find a brand wise size chart for specific products. Even most of those web-stores provide how to measure guide for apparel shoppers. In this post, I have shared 9 resources with screenshots (website of apparel brands and tutorial sites). These websites/brands are randomly chosen. Check those resources for further reading and understanding size charts. 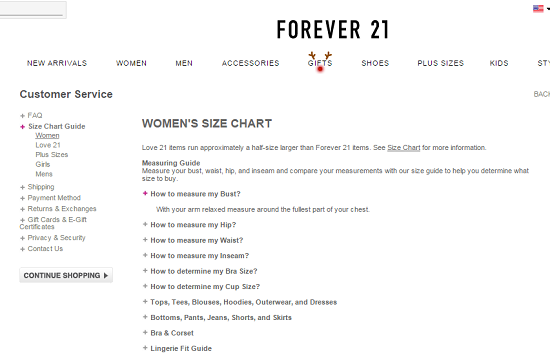 For your study, you can look into size chart guides from other brands. 1. American apparel Size Chart: American Apparel is one of the well known and Made in America apparel brands. 2. 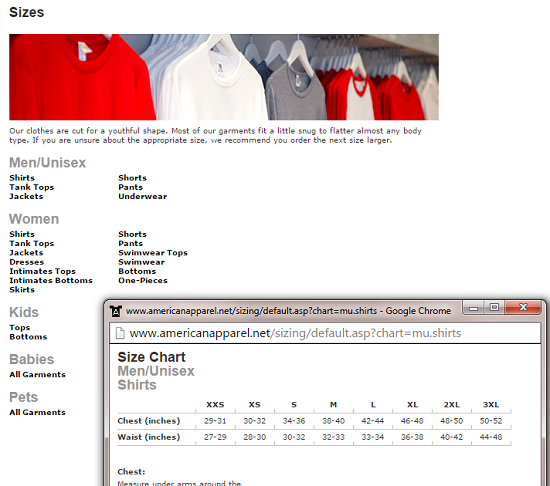 Asos.com size cart: Check size chart guide for products in Mens, women and kids category at Asos. 5. PVH size chart: This is a 4-page pdf document. 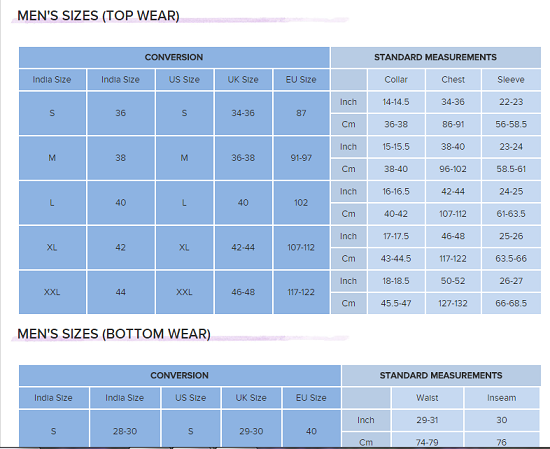 In this document PVH corporate outfitters has shown size charts for their various products (with article numbers). 6. Gap Size chart and measuring guide: Check this page for Gap size chart guides. 7. Fabindia size guide: This site shows the size chart guide for products like Kurta, Salwars, Churidars, Tops & Tunics, pants etc. 9. 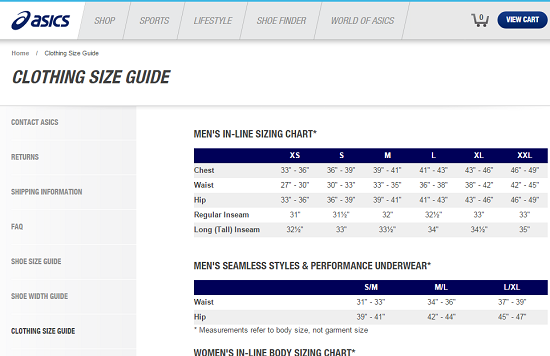 Sizeguide.net: This website posted guides for measuring size chart for apparel products. It has also shared size conversion charts. Disclaimer: The above details about size chart and resource links are provided for your information purpose only. Contact with the providers of the information prior to using the same. 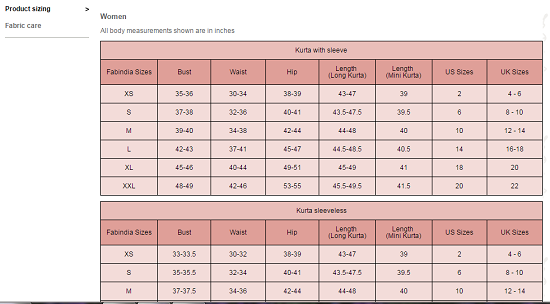 A number of size chart guides by various Apparel Brands for Men and Women Apparel Products.